Jamie’s Previous Achievements: Best Singer/Songwriter – L.A Music Awards, Hollywood Music Awards Nominee for Best Country Song. Best new artist in Sweden. Touring with Westlife, Lady Antebellum and shared festival stages with Rascal Flatts, LeAnn Rimes and Dwight Yoakam. 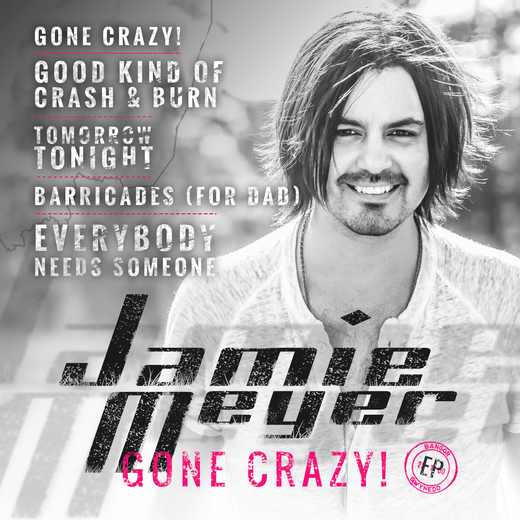 Jamie and his band is known for their high-energetic shows and leading up the new EP he has released 3 records planning on the 4th full album GONE CRAZY! DELUXE EDITION in 2016. Reached 15th in Best of Country chart in 2016. In the top 20 for 1 week. Reached 15th in Best of Country chart in 2015. In the top 20 for 2 weeks. Reached 13th in Best of Country chart in 2014. In the top 20 for 2 weeks. Reached 11th in Best of Country chart in 2013. In the top 20 for 3 weeks. Reached 49th in Best of Country chart in 2011. In the top 100 for 14 weeks.